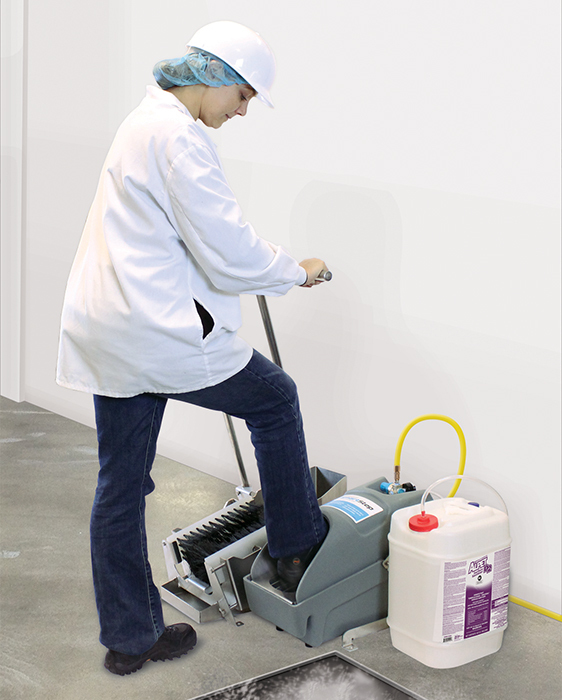 The new HACCP SmartStep™ Footwear Sanitizing System adds an additional layer of pathogen protection for food processing facilities, nutraceutical plants, pharmaceutical plants, clinical research labs and clean rooms by reducing cross-contamination from footwear before employees enter the production area or other critical control zones. The HACCP SmartStep System is expandable and can grow as your plant's needs grow. 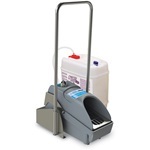 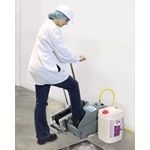 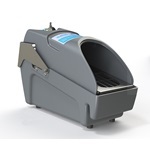 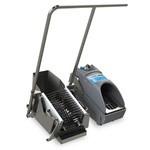 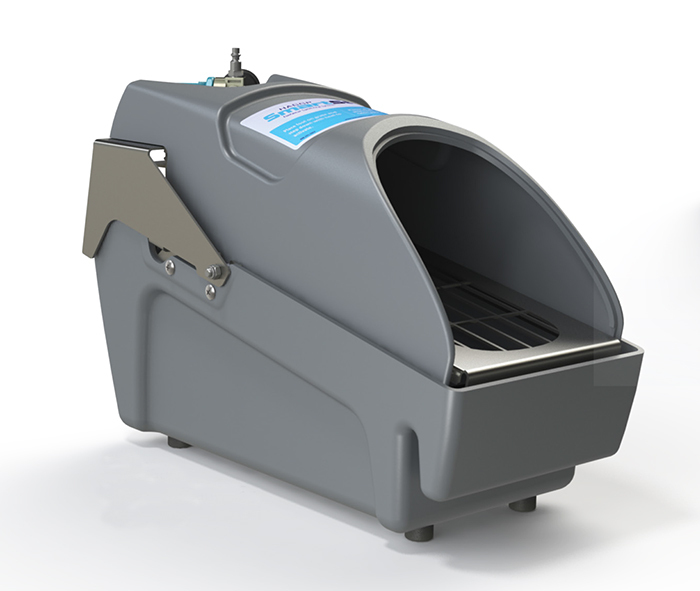 Sanitizing unit and handle mount to the floor to provide a safe and secure hand hold when using the SmartStep. Add the optional scrubber and handle to create a very efficient and very effective tool in the fight against cross-contamination from footwear. 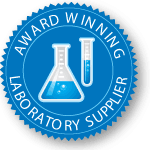 All Alpet products are now Halal certified.